How did slavery reshape the identity of Africans who were forcibly relocated to and exploited in the American South? How much “African” culture survived the Middle Passage and subsequent cultural pressure from European/American norms? Which culture – American or African – was the primary cultural force in African-American identity before the Civil War? These are just some of the questions Michael Gomez seeks to answer in his provocative book. 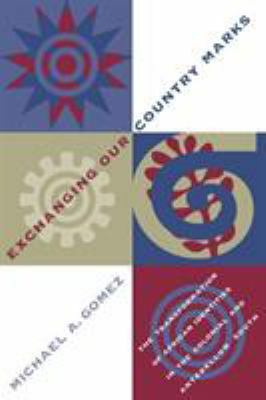 Primarily, Gomez argues that until 1830, that is to say through out a majority of the colonial and antebellum period, there was no such thing as a united African-American community. The identity of enslaved Africans and their American born progeny was shaped by their ethnic origin (Igbo, Sierra Leone, Senegambia, etc.) and their faith community (Islam or non-Abrahamic African religions), not any idea of an African “race.” Gradually, this ethnic identity gave way to a pan-ethnic idea of “blackness” that united most enslaved African and African-Americans. As Gomez notes in individual chapters on each ethnic grouping, all of the “source” cultures of enslaved Africans contributed to the new African-American identity that came to dominate the enslaved community after 1830. Gomez places the agency for this transformation in the hands and minds of enslaved people themselves. Whatever African-Americans appropriated from the white European and American culture they did so on their own terms, for their own purposes, and through the lens of their African culture (or cultural inheritance from Africa in the case of American born enslaved persons). This argument contrasts with scholars like Eugene Genovese, who argued that white planter cultural and economic hegemony overwhelmed enslaved persons and placed the primary agency of cultural African-American development on that white hegemony. The last central point of Gomez’s book relates to the race based African-American identity that rose to dominance after 1830. Gomez argues that this identity broke along two class lines. The largest group – the large rural “folk” majority of enslaved persons – saw themselves primarily as African-Americans and sought to create an identity that stayed true to its African roots. The second class, the “elite”, which consisted mostly of the privileged “servile” house servants and skilled enslaved laborers and urban free blacks who saw themselves primarily as African-Americans and sought integrate themselves into white society and to distance themselves from their African roots. Shades of Martin and Malcolm abound in this final point of Gomez’s provocative book. TIE INS: Gomez’s book works well with Bernard Bailyn’s Atlantic History. The evidence presented by Gomez shows by the horrors and the creative possibilities that the Atlantic world was capable of producing. The African-American identity Gomez examines is truly an “Atlantic” one, in that it drew up the cultures of three continents – Africa, European, and North America. Gomez’s book also serves as a good counter point to Jon Bulter’s Becoming America, in that for African-Americans there was nothing particular “American” about their identity before 1776.